Beginning of February, California teachers decided to take a stand for the environment. Hendricks Power (website here) of Central Indiana came out with a cost analysis graph of how much home appliances use in electricity each year. 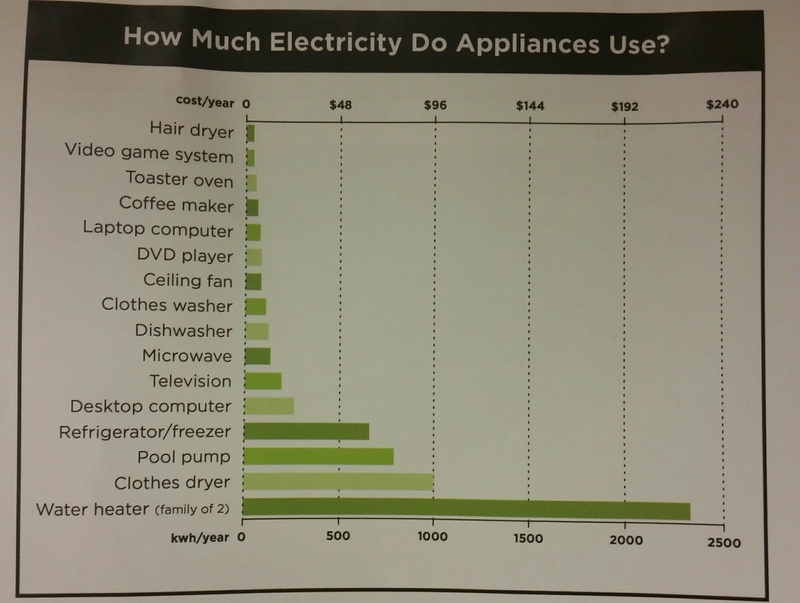 Very informative graph and may surprise some of what appliances use.